With Pujya Dadabhagwan's and Niruma's grace and Pujya Deepakbhai's blessings, the North East Dadabhagwan Parivar heartily invites all Mahatmas and Mumukshus with friends and family from around the world to celebrate Pujya Dada's Gurupurnima in Philadelphia, Pennsylvania from July 4th to July 10th 2017. STEP 2: Hotel Room Request. STEP 5: You will receive confirmation email with barcode and unique number. STEP 6: You will hear back from GP team in February regarding hotel registration. 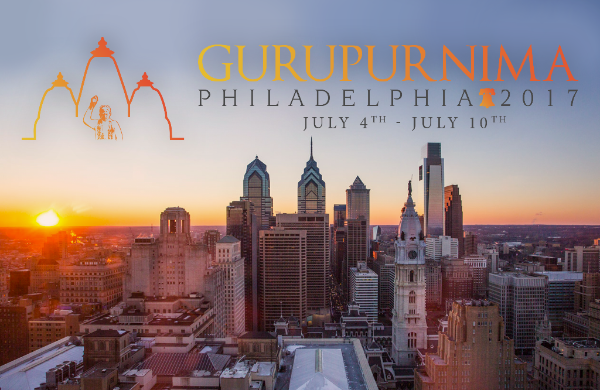 Event Registration: Step 1: Please register yourself as well as your family members living at the same residential address at Gurupurnima 2017 link (Click Here) for the Philadelphia Gurupurnima event. If you have already registered on this site before, please use your existing registered email address and password. If you have forgotten your password, please click on the forgot password link on the log-in page and it will be emailed to you. Please note: For every person who is not living with you and who does not have their own separate registration on the site, you/they will need to create a new separate registration with a different email address log-in and password. Hotel Room Request: Step 2: You will be directed to a Hotel Room Request page. This will show you room requests. Please read the important information on this page. Once you have reviewed and completed the form please click the Continue button. LMHT Sign-up: Step 3: If you have any members in your account from Age 0-12, then you will be directed to LMHT Sign-up page. LMHT Registration will be a 3-step process with step 1 gathering sessions & activities information (click here for more information on activities) for each kids, step 2 will request parent/guardian information and step 3 will be the consent. Most of the activities will be open for registration until December 10th, 2016 ONLY. You will receive separate confirmation emails for LMHT activities signup. Please save them. Please note: If you notice your child should be eligible for YMHT, not LMHT, please contact [email protected] to request a change in registration for them. Please state the reasoning of why your child should be eligible for YMHT (i.e. 8th grade and above). YMHT/YMHT+ Sign-up Step 4: If you have any members in your account from Age 13-35, then you will be directed to YMHT/YMHT+ Sign-up page. YMHT/YMHT+ Registration will also be a 3-step process with step 1 gathering sessions & activites information for each youth, step 2 will request parent/guardian information and step 3 will be the consent. Step 5: After verifying registration, you will receive an email with a unique Gurupurnima Registration Confirmation number – The number will start with GP2017. This email will also have bar code which will help you for fast check-in during the GP event. Please print this page and bring it with you at the GP. Please note: Each individual registered to attend the GP event will have a unique Registration Confirmation number. Step 6: You will receive instructions from our Gurupurnima team by February 2017, that the Hotel is now open for guest-room reservations. Upon receipt of this email, you may go ahead and call the Hotel. You will be required to provide your Gurupurnima Registration Confirmation Number in order to reserve a Hotel guest-room. Please note: The hotel will NOT book any rooms without this Gurupurnima Registration Confirmation Number.